In business, the transaction may occur in two ways, i.e. cash or credit. For recording cash transaction, there are separate books or accounts are maintained by the business entities, which are cash book and cash account. Cash Book is a subsidiary book, which records all the cash related transactions, i.e. receipts or payments. In the same way, Cash Account is an account in which cash receipts and disbursements are entered. These two differ in the fact that cash book is a subsidiary book, while cash account is a ledger account. Many accounting students, utter confusion in understanding the two, in fact they juxtapose them. However, there is a fine line of difference between cash book and cash account, which we’ve elaborated in the given article. Meaning A book that keeps the record of the receipt and payment of cash. An account that traces cash transactions of the company. A cash book is also known as the book of original entry. It is a business journal that records the cash receipts and cash payments of business for the particular accounting year. The cash book works exactly like a cash account, but when the transactions are enormous, then cash book is preferred. Single column cash book, i.e. Cash book with cash column only. Double column cash book, i.e. Cash book with cash and bank column. Triple column cash book, i.e. Cash book with cash, bank, and discount column. Apart from the above three, one more type of cash book is maintained, known as the ‘petty cash book’ used for recording petty cash expenses of the business. A cash account is a ledger account used for recording day to day cash transactions of business. On the debit side of the account, cash receipts are written while on the credit side, cash disbursements are entered. As cash is an asset, so it is a debit account, i.e. a debit entry will increase the cash account whereas credit entry will decrease the same. A cash book is a book of original entry. The cash account is a ledger account and so posting in a cash account is made only when the original entry of the transaction is made somewhere else. 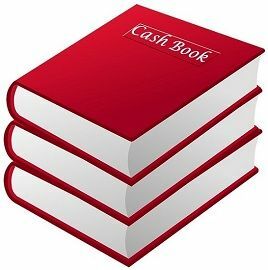 Cash book is a subsidiary book. On the other hand, cash account is a ledger account. In cash book, entries are followed by narration, but in a cash account, the entries are not accompanied by narration. Only cash transactions are recorded. Debit side for receipts and credit for disbursements. In business, the use of cash book or a cash account is very common, whether it is a small or a large organization. Cash plays a significant role in the smooth running of business, so for proper and systematic recording of the cash transactions – companies use either cash book or cash account.